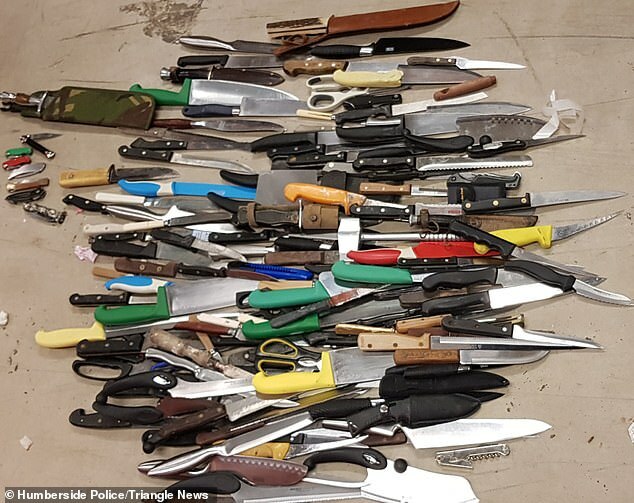 Horrifying new photographs show the full extent of a country-wide knife amnesty with thousands handed into police forces across Britain. Images show bins of blades collected during the national event which ran between March 11 and 17. 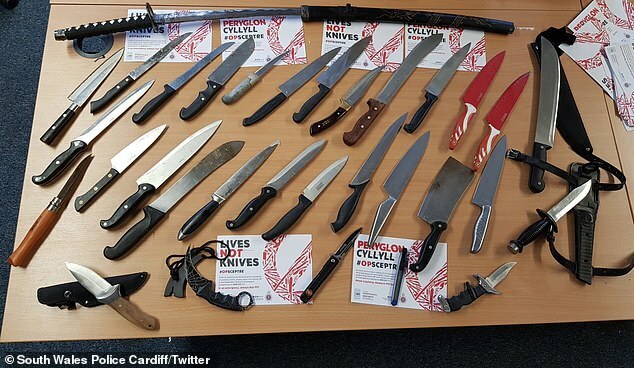 Many forces saw their biggest ever haul of weapons handed in, with banned butterfly knives, samurai swords and designer blades left in special bins. 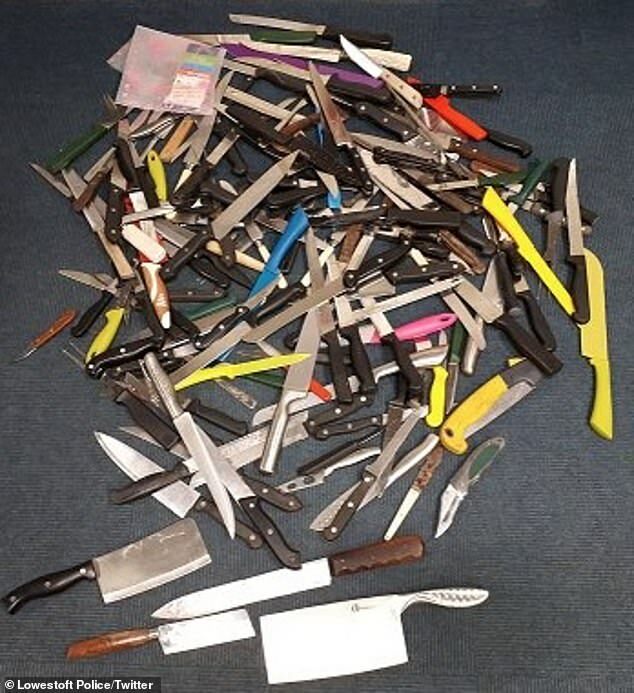 The amnesty was part of a national campaign, Operation Sceptre, run by police forces across the country to reduce the number of illegal knives in circulation. 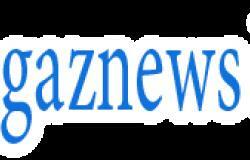 It was set up after most forces saw increases in the number of knife-related incidents over the past three years. Hertfordshire Police alone saw 680 blades dumped in marked wheelie bins at police stations including Hatfield (216), Stevenage (105) and Watford (78). 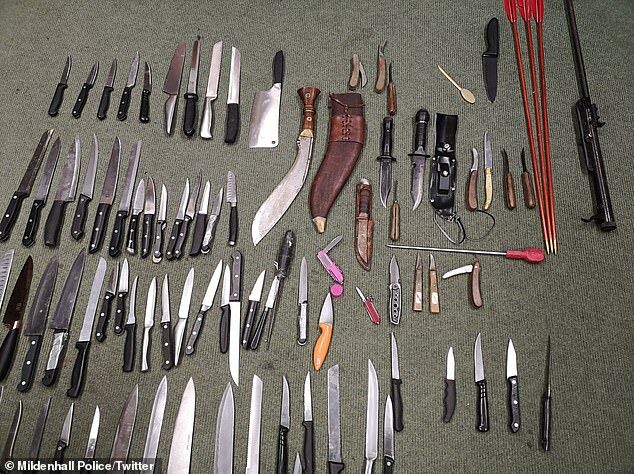 The haul included swords, military knives, knuckle dusters and a large amount of kitchen knives. Other bins saw 250 blades surrendered in Potters Bar, at St Albans Civic Centre and Waltham Cross.